Coventry climax "Godiva" trailer pump removed from trailer. Coventry climax "Godiva" trailer pump removed from trailer. Single stage centrifugal pump 3" suction 2 1/2" delivery hose. 4 cylinder 7.76 H.P. engine. Operating pressures: 100-120 lb./sq.in. G. Dyer, “Coventry climax "Godiva" trailer pump removed from trailer. 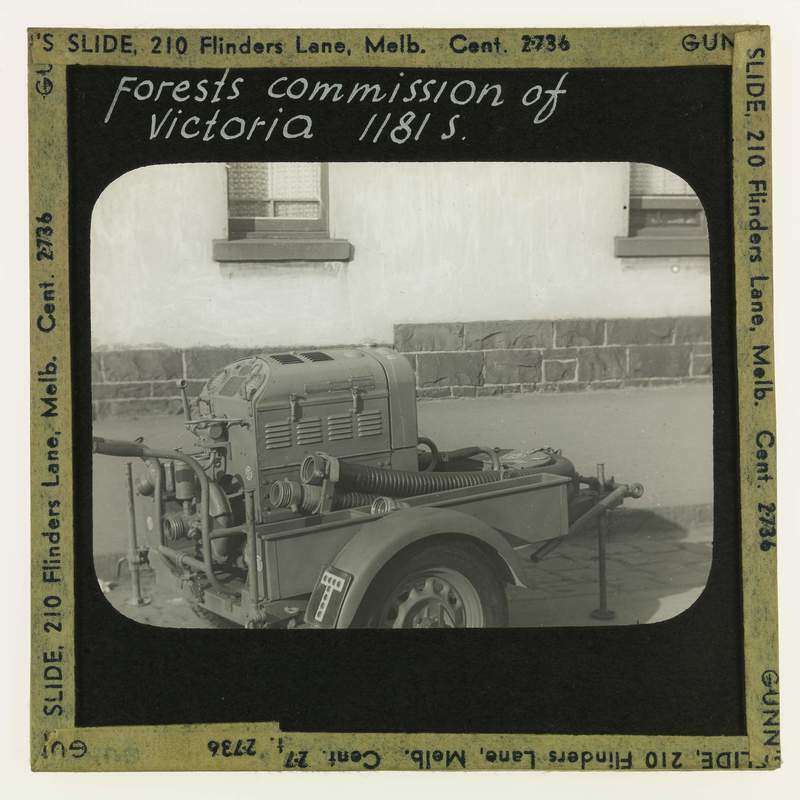 ,” Creswick Campus Historical Collection, accessed April 20, 2019, https://omeka.cloud.unimelb.edu.au/cchc/items/show/4965.